Sent on a journey 170 years into the future, Scrooge encounters a world even colder and greedier than his own, a world that includes a young cutthroat businessman named Timothy Cratchit VI. Will Scrooge be able to turn Cratchit from his selfish ways and teach him the true meaning of Christmas? Dove Family-Approved for all ages. To view the Dove review, go to www.dove.org/reviewpopup.asp?Unique_ID=10067. This is a nice imaginative story about what might have been following Scrooge's conversion to a lover of Christmas and his change of heart which occurred in Dickens' classic "A Christmas Carol". 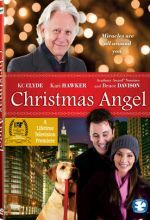 David Ruprecht makes a likeable Scrooge, the man who now is a poster boy for celebrating Christmas. The story begins with Scrooge taking in Bob Cratchit as his new partner. Soon the ghost of Jacob Marley shows up again, this time to whisk Scrooge away from London in 1844 to the future, 2013, in New Britain, Wisconsin. It seems the present day leader of the financial institution, Scrooge and Cratchit, Timothy Cratchit, is causing great misery to people, much like Scrooge formerly did. The business was relocated to America following World War ll and now Scrooge gets his first taste of not only America, but also the present day. Some of the funniest scenes feature Scrooge learning how to speak in modern vernacular, including saying "My bad" when he makes a mistake, and also learning how to use a cell phone. His first encounter with a TV set is quite humorous too. Scrooge ends up encouraging a young woman named Belle and won't stop until he softens Cratchit's hard shell. This is a terrific family film and we are pleased to award the movie our Dove "Family-Approved" Seal for all ages. This is a good one for the holidays and to watch right after you view "A Christmas Carol". Oh, and watch for the scene at the end when Scrooge returns to his own time and gives his cell phone to a young man named Billy Gates! Mister Scrooge to See You! 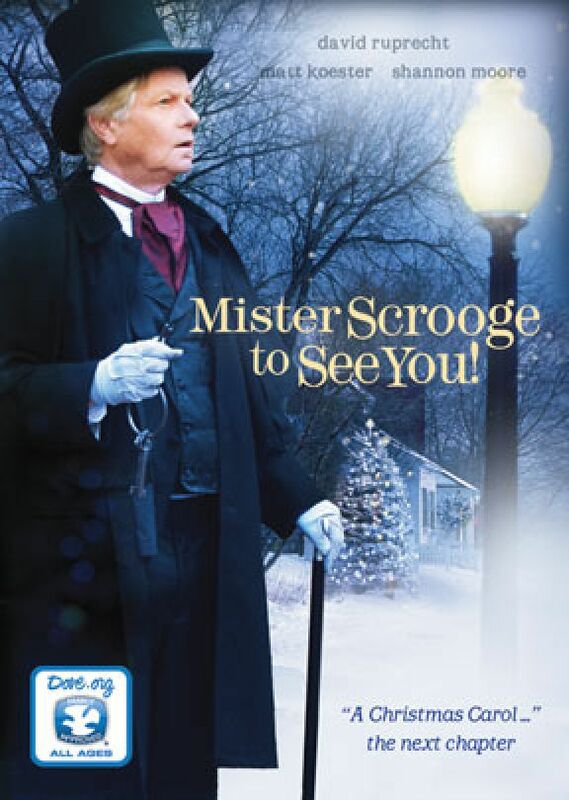 is an original, imaginative DVD sequel to Charles Dickens' timeless classic, A Christmas Carol. Scrooge's holiday tale of greed, guidance, and redemption is well-known, but one year after his change of heart, the ghost of his business partner Jacob Marley returns with another task at hand. Scrooge is sent on a journey 170 years into the future, into a world beset with more greed than ever; it's Scrooge's appointed task to show the young, ruthless businessman Timothy Cratchit VI the error of his ways, and teach him the true meaning of Christmas! 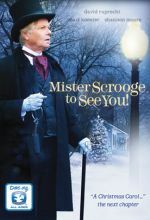 Veteran stage and television actor David Ruprecht brings the titular role of Scrooge to life in this heartwarming and family-friendly holiday tale. Prequels and sequels to great stories about but this one transports us (and Ebenezer Scrooge) 170 years into the future from Victorian England. One year on from his ghostly meetings Scrooge once again has a meeting with Marley and finds himself transported to 2013. His mission, which is revealed in the story, is to try and redeem Timothy Cratchit VI, present-day owner of Scrooge and Cratchit Financial, from a fate similar to the one Scrooge faced before he became a changed man. It's a pleasant enough film, not too taxing, and cleverly works an evangelistic message (which Dickens probably never even considered) into the story. Central to the story is the fate of The Dining Belle, owned by Belle Dickinson, which is mortgaged to Scrooge & Cratchit and about to be foreclosed. Will Scrooge succeed in his mission—and what is Belle's secret? And who is the mystery 'vagrant' Matthew really? This may not be what Dickens might have envisaged but it's enjoyable. In 1843, what would become a holiday literary classic, "A Christmas Carol", was published in England. Written by the acclaimed Victorian author Charles Dickens, Ebenezer Scrooge personified miserly ways and the coldhearted treatment of his fellow man. Nearly two centuries later, any society can lay claim to these same attitudes. However, Ebenezer Scrooge is given three supernatural glimpses of his eternal destination, should he continue upon the path of social and personal indifference. Ultimately, Scrooge elects to put life's rudder hard over, and changes his course. The true meaning of Christmas, the reason for the season, transforms Scrooge and the reader of "A Christmas Carol", as it has transformed hearts and minds globally. 170 years after this tome's pages were first turned, Salty Earth Pictures Writer and Director Steve Zambo brings to the screen what might have become of Ebenezer Scrooge, a year after the former business partner of Jacob Marley adjusts the sails of his mortal existence. Zambo's inspiration and humor, originating from the pen of Charles Dickens, will capture the attention of any audience, of any demographic. Accomplished stage and screen actor David Ruprecht masterfully dons the guise of Ebenezer Scrooge. His wistful and sincere desire to share his time, talents, and treasure is a positive lesson for any generation. Zambo artfully combines time, travel, and moral challenges for Scrooge, while his lead character must convince a young business upstart named Timothy Cratchit VI, convincingly portrayed by Matt Koester, the "errors of his ways", before he too experiences the regret of Jacob Marley. New York screen, internet, and commercial actress Shannon Moore completes the lead ensemble, graciously contributing her stunning beauty and charm as Belle Dickenson, the owner of a diner untimely mortgaged to the firm of Scrooge and Cratchit Financial. Producer Beth Zambo assembled a wonderfully talented local cast that seamlessly weaves the story together, transitioning from moments of laughter, to moments of intense reflection. Director of Photography Frank Datzer gives solid evidence why he is one of the most professional and competent to capture and edit the essence of quality writing seen through a camera lens. 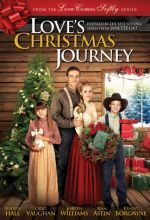 Salty Earth Pictures has indeed produced yet another classic family film, destined to occupy a very visible and treasured home among Christmas DVD's lovingly shared any time of the year. This film further solidifies Salty Earth Pictures as an honest and trusted source for quality media and entertainment. I ordered this film because I have always been a fan of the Christmas Carol. This was a creative and smart sequel. The main character is very likable and the "sidekick" hispanic woman in the dinner is very funny. The film has an independent and low budget feel but this only adds to the authenticity. I really enjoyed the 1800's scenes very nicely done. A great family friendly Christmas film for the entire family to enjoy.